Because it can, and because it has before. 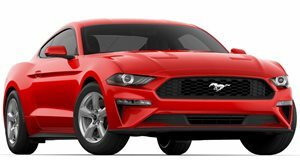 As part of the 50th anniversary celebrations for the Ford Mustang convertible, set to take place during next month's New York Auto Show, Ford is planning to place a 2015 Mustang convertible on top of the city’s Empire State Building. Reaching for the 86th-floor observation deck, Ford will recreate what it did to introduce the convertible prototype 50 years ago. It may seem silly, but tradition is tradition, especially for an epic car like the Ford Mustang. With no crane tall enough to make the sky-high delivery and no helicopter pilot stupid enough to make the attempt, the current model – like its predecessor – will have to be chopped up into three pieces and sent up in the elevators. The sliced Mustang will be on display at the Empire State Building on April 16-17.